During the month of July I will be taking part in the Crafty Cupcakes Design Team. With our fabulous Upline Lea Denton (also known as The Crafty Spark!) we are a team of SU demonstrators from all over the UK and the Netherlands. 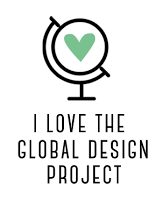 This month there are two of us taking part, so over the course of the month you will have 8 projects to inspire you. We have been set the challenge of using the Delightful Daisy Suite from the new Annual Catalogue. So I will over the next 4 weeks have a project using this beautiful suite. I have decided to start with a gift box as you all now know I love to make boxes! 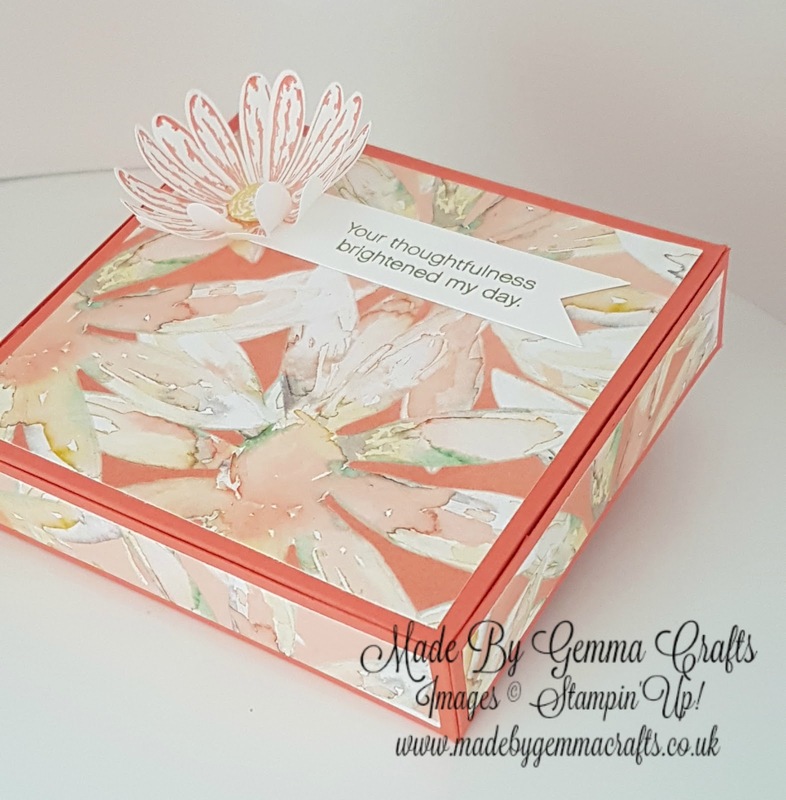 The main focal point on my box is the Designer Series Paper that I have decorated it with and of course the wonderful daisy punch that coordinates with the stamp set. My box measures 4" by 4 1/4" and is 1" deep so would be ideal to put a piece of jewellery in or a sweet treat. 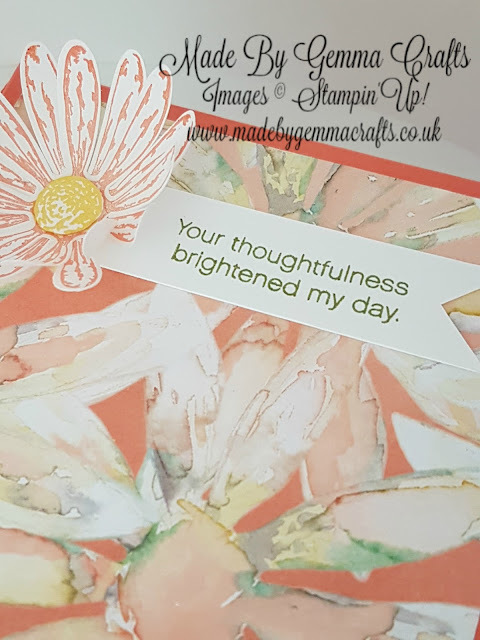 The sentiments in the stamp set are lovely and a little different. The box id made from Calypso Coral and then the sentiment is stamped in Old Olive ink. I just love this DSP and the water coloured effect. Thank you for taking time to look today be sure to head over to Emma's blog at Little Crafty Me to see what Emma has created.